Pale Blue Dot: An Alien View Of Earth Twenty years ago this week, the Voyager 1 spacecraft captured a radical view of Earth. 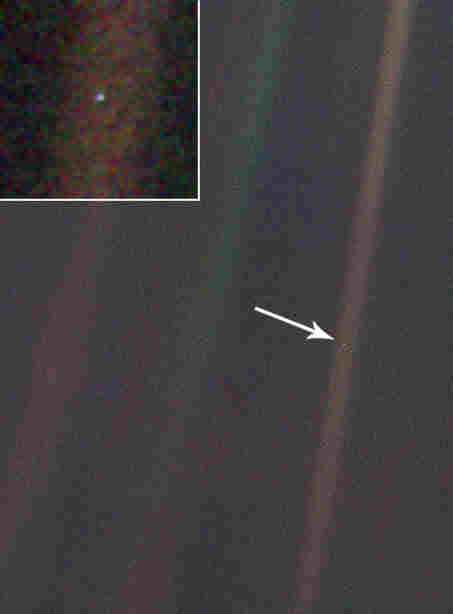 Shot from a distance of 4 billion miles, the "pale blue dot" image showed our planet as a tiny speck amid the vastness of space. 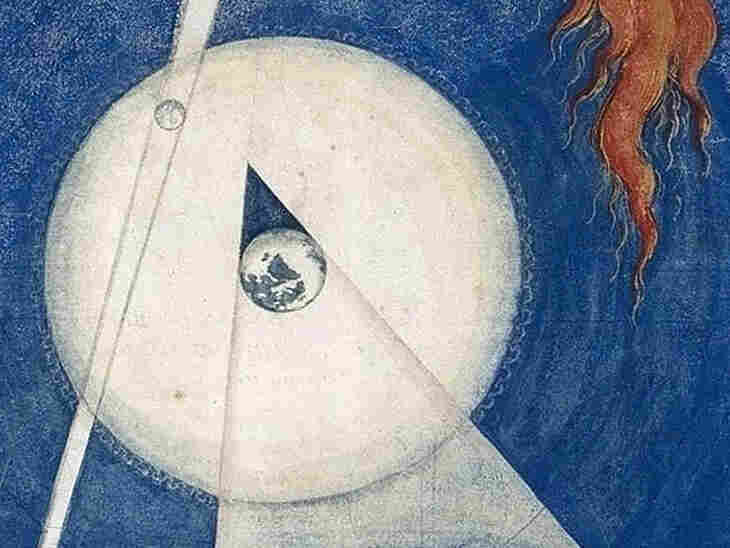 Carl Sagan, who lobbied for the photo, said it reduced our entire world to "a mote of dust suspended in a sunbeam." 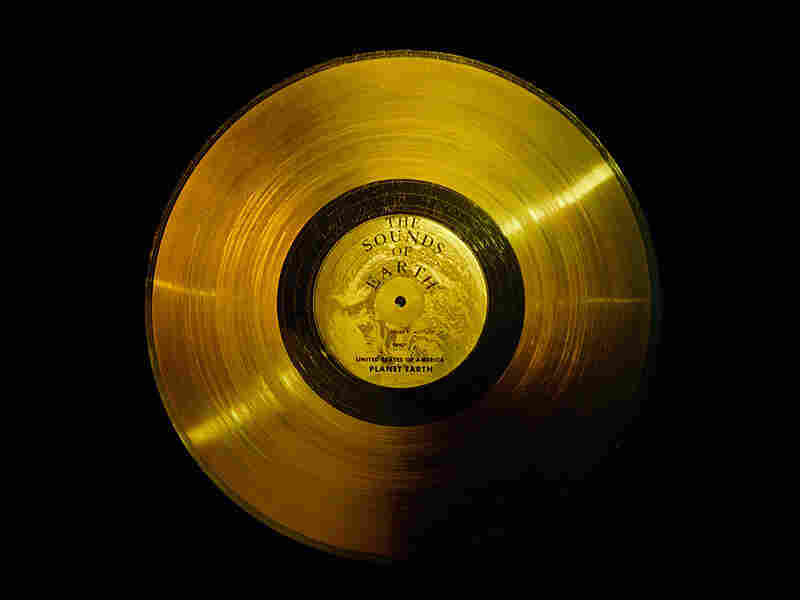 Onboard the Voyager spacecraft is a 12-inch, gold-plated record with greetings in 59 languages, music samples and images.